In 1944, Oxford scholar C.S. 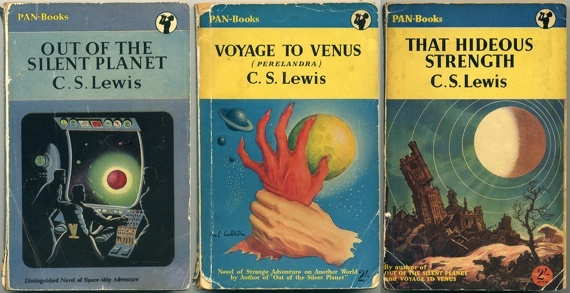 Lewis published the second book of a trilogy about space. Perelandra (also known as Voyage to Venus) is a lyrical evocation of the planet Venus, before the Mariner fly-by of 1962 revealed it to be a lifeless world. It's also a moral tale of the battle between dark and light, infused with Lewis' Christian theology. Through Professor Weston (dark) and Ransom (light), Lewis presents two different experiences and ideologies about humanity's place in space. I find myself returning again and again to the first two novels in this trilogy. Informed by his deep knowledge of Medieval worldviews, Lewis' vision of space is profound and poetic. I've quoted him more than once in academic papers (here for example), and frequently discover new insights in sentences read a thousand times before, depending on where my own thoughts are tending at the time. 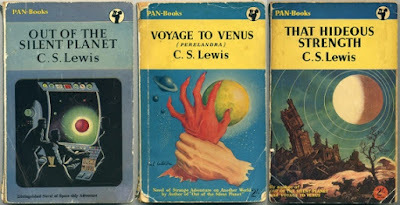 In the passage below, Lewis' distaste for the nascent genre of science fiction, and for the amateur societies who were the vanguards of space before the end of the war brought the potential of the V2 rocket to the world's attention, is very evident. (Never mind that he was now writing science fiction himself). 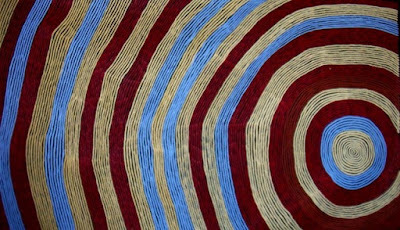 However, the way he captures the tension between what we might now call an ecological position, and an colonialist one, prefigures very contemporary debates. You are left in no doubt which side he supports. Professor Weston....was a man obsessed with the idea which is at this moment circulating all over our planet in obscure works of 'scientifiction', in little Interplanetary Societies and Rocketry Clubs, and between the covers of monstrous magazines, ignored or mocked by the intellectuals, but ready, if ever the power is put into its hands, to open a new chapter of misery for the universe. It is the idea that humanity, having now sufficiently corrupted the planet where it arose, must at all costs strive to seed itself over a larger area: that the vast astronomical distances which are God's quarantine regulations, must somehow be overcome. This for a start. But beyond this planet lies the sweet poison of the false infinite - the wild dream that planet after planet, system after system, in the end galaxy after galaxy, can be forced to sustain, everywhere and for ever, the sort of life which is contained in the loins of our own species - a dream begotten by the hatred of death upon the fear of true immortality, fondled in secret by thousands of ignorant men and hundreds who are not ignorant. The destruction or enslavement of other species in the universe, if such there are, is to these minds a welcome corollary. Even in the last few weeks, I've come across debates about humanity's right to propagate indefinitely, in whatever form that might be. 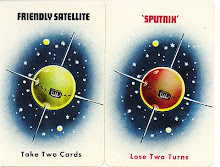 Space narratives still cleave to a naive colonialism abandoned (mostly) everywhere else in the modern world. But for Lewis, we are seduced by the 'sweet poison of the false infinite'. Infinity, he implies, is deceptive. The concept of a virtually endless universe is not an invitation to expand, in our own messy organic big bang, to fill all available niches; nor is it a palliative for the fear of death. Perhaps that is the crux of it. We must solve infinity within ourselves before we can drink the 'sweet poison' and survive. 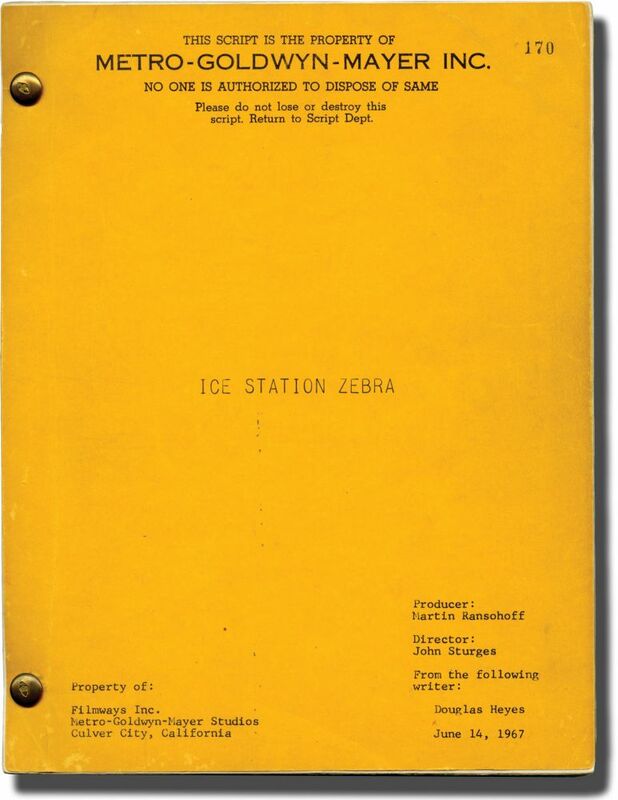 A random thought today sent me in search of the screenplay of the 1968 classic film Ice Station Zebra. Years ago it did not exist on the internet, and I couldn't find it now either, not even on the American Film Scripts Online database - but I did come across this image of the actual script on a bookseller's website. Revised draft script for the 1968 film. 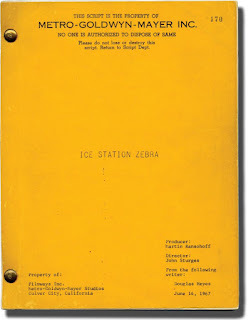 Copy belonging to an uncredited crew member, with notations in holograph pencil on the versos of pages throughout, mostly numeric notations, with a few pages noting on-the-set supplies, and some personal notations. Goldenrod studio wrappers, rubber-stamped copy No. 170, dated June 14, 1967, with credits for director Sturges, producer Martin Ransohoff, and writer Douglas Heyes. 189 leaves, with last leaf of text numbered 203. Mimeograph, dated variously between 4/28//67 and 6/30/67, with blue and gray revision pages throughout, dated variously between 6/27/67 and 7/3/67. Pages Very Good plus, wrapper Near Fine, bound with two gold brads. Just incidentally, the script will set you back $1750.00 USD. I was momentarily tempted, I have to confess. As you know I love a bit of space poetry, and if it happens to be Australian, well, all the better. 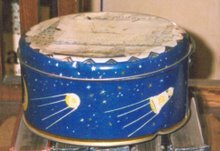 This wonderful poem, full of gentle rhyme and wistful metaphor, really resonates with me because it describes so well my own experience of the Apollo moon landing in 1965, where I similarly huddled, with an entire rural primary school of students, into the teacher's residence to watch the first steps on a black and white television. It's really a poem, though, of love and loss. I could go on with my amateur analysis, but I won't: please read it for yourself and enjoy the subtle twists of the poet's art. This is by Stephen Edgar, and it won the 2005 Peter Porter Poetry Prize. (Note on attribution: I was alerted to this poem by the Australian Book Review newsletter. Here it is on the original website). Deepens to Giotto’s dream of indigo. Slender enough repository of hope. Two thirds of all the years I’ve been alive. The whole class huddled round the TV screen. There’s not much chance, then, of forgetting that. As that small step for man onto the moon. And the special one might have been anyone. We found is cold and sober now and lost. The signals of the circling zodiac. To where you are and find or join your own. And everything I think, I think alone. How would lunar mining affect the cultural significance of the Moon? This is an excerpt from my (pre-revision) forthcoming publication Managing cultural heritage values in lunar mining? What are the issues? Consultation with stakeholders is part of both assessing the social significance of cultural heritage and obtaining a Social Licence to Operate (SLO). Despite the best intentions, however, gaining free, prior and informed consent is frequently overlooked (Bice 2014). How could this be achieved for an entire celestial body, and with meaningful consultation with the ‘local’ community of Earth’s seven billion people? While the UN offers obvious mechanisms through the Committee on the Peaceful Uses of Outer Space (COPUOUS), UNESCO and the advisory organisation the International Council on Monuments and Sites (ICOMOS), private commercial interests may prefer to undertake their own community engagement. 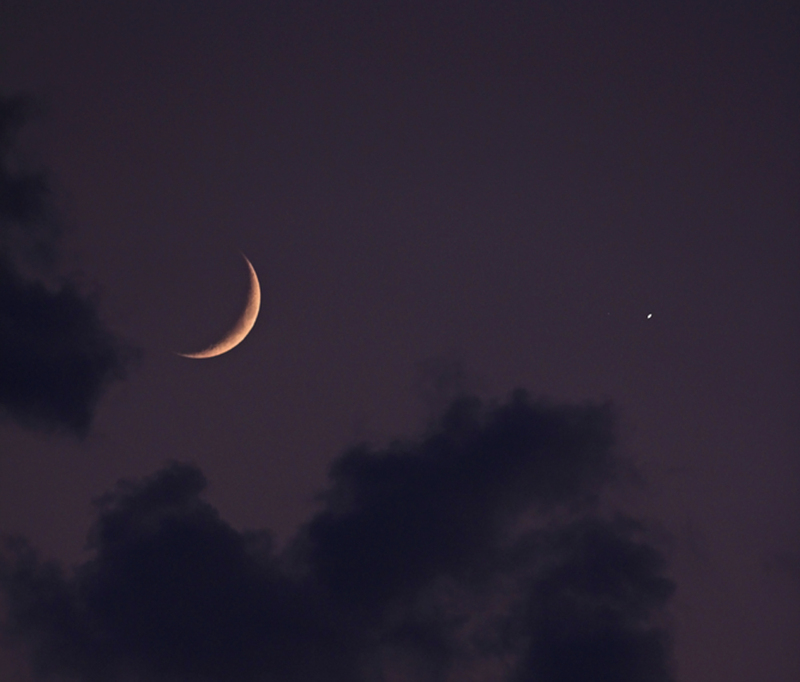 How will people feel if they look at the Moon in the night sky, and know that is being mined underneath their eyes? While diverse publics have been tolerant of scientific missions, commercial ventures may be received very differently. 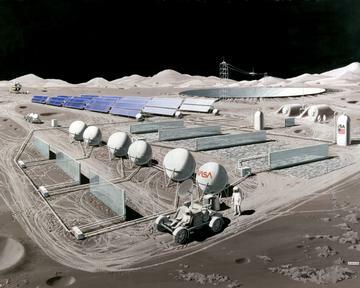 Mining and exploration will have impacts on the lunar environment much greater than the low level created by robotic and scientific missions to date. 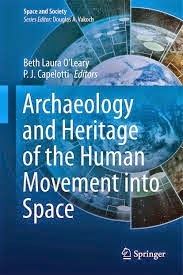 While it is probably broadly true to say “humanity as a whole has embraced the historic events and objects associated with space research as part of our jointly held heritage” (Walsh 2012:234), this obscures deeply entrenched divisions between colonial/spacefaring nations and colonised/'developing' nations (Gorman 2005a, Gorman 2009b, Redfield 2005). These divisions have been very evident in the politics around the formation of the Outer Space Treaty (OST), the Moon Agreement even more so, and contribute to the impasse that resource utilisation on the Moon is currently facing (Hoffstadt 1994). The reaction of, say, an Australian to a US-based profit-making mine in which they have no say or share could easily be negative. 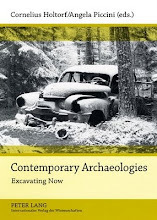 A First Nations Australian may have another layer of reaction, based on their experience of alienation from country and destruction of cultural heritage arising from terrestrial resource exploitation. 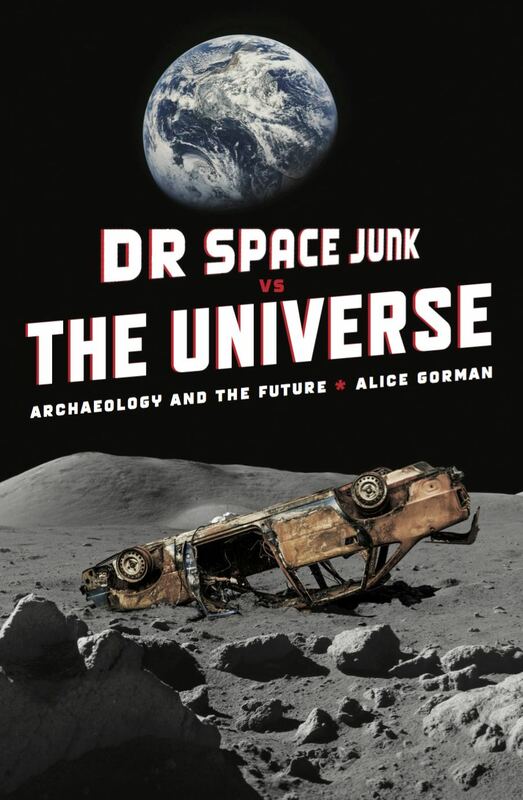 Moreover, an assault on the integrity of a celestial body which belongs to what is commonly called the ‘Dreaming’ – a suite of cultural knowledge in which the past is simultaneously entwined with the creation of law, identity and land in the present – may be a matter of some concern. Aboriginal people are by no means the only First Nation to have such a relationship with the Moon. Ronnie Tjampitjinapa is a Pintupi man from the Western Desert He was a founding member of the Papunya Tula Artists group. .
What is considered to be for ‘the benefit and in the interests of all countries’ (OST Article 1, see also Moon Agreement Article 4) depends very much on how regulation unfolds in this next critical period. Again a parallel with terrestrial mining industry may be instructive. Management strategies in SLO frameworks include the concept of ‘offsets’: compensating for impacts at one location through activities at another, either directly or indirectly. A direct offset might be setting aside a protected area of land to compensate for the loss of that impacted by mining. Increasing the value of a heritage place could be considered a direct offset – for example, committing resources to conserving Tranquility Base to compensate for ‘sacrificing’ a Lunar Orbiter impact site. Indirect offsets may include funding research or education around the environmental/heritage resource that will lead to benefits for it. Note though, that offsets are determined during the planning phase, not in retrospect ie they do not compensate for damage already caused. Lunar mining will take place in an environment where social media are a major part of public engagement with space. Space agencies, private companies, astronauts, missions, and rovers have their own Twitter accounts and there is an expectation of public involvement. Crowd-funded space missions such as Lunar Mission One, a probe designed to drill a deep core in polar regions, is possibly the vanguard of more such projects. The investors in off-world mining companies are likely to be the same people who buy shares in terrestrial mining. The moon’s seeming remoteness will not protect industrial operations from the scrutiny of the public.